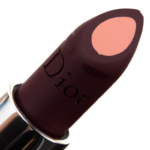 Dior Double Rouge Matte Metal Colour & Couture Contour Lipstick is a lipstick that retails for $38.00 and contains 0.12 oz. 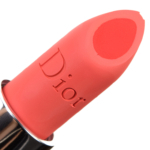 There have been 4 shades released, which you can select from below or jump to these sections: Review, or Description. 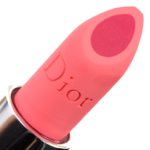 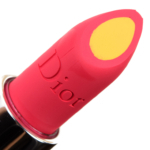 Double Rouge lipstick by Dior plays on the contrast between a vibrant hue and a pastel shade: its creamy texture colours the lips like candy. A formulation challenge: combining a pigmented satiny contour with a matte heart so that upon application the two shades work in harmony, with a sophisticated finish and an impression of volume.